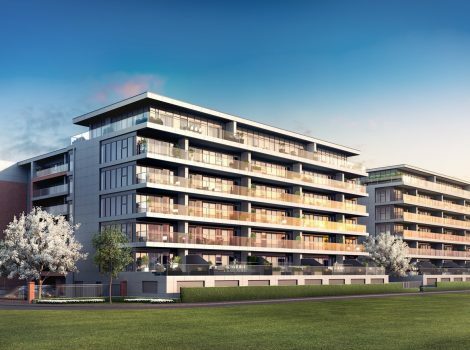 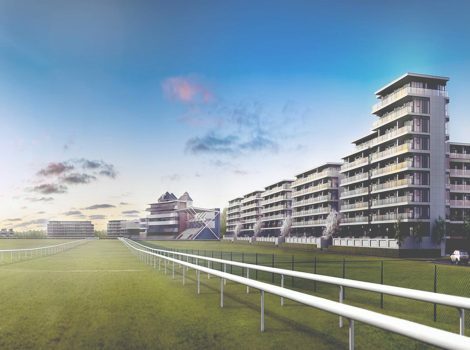 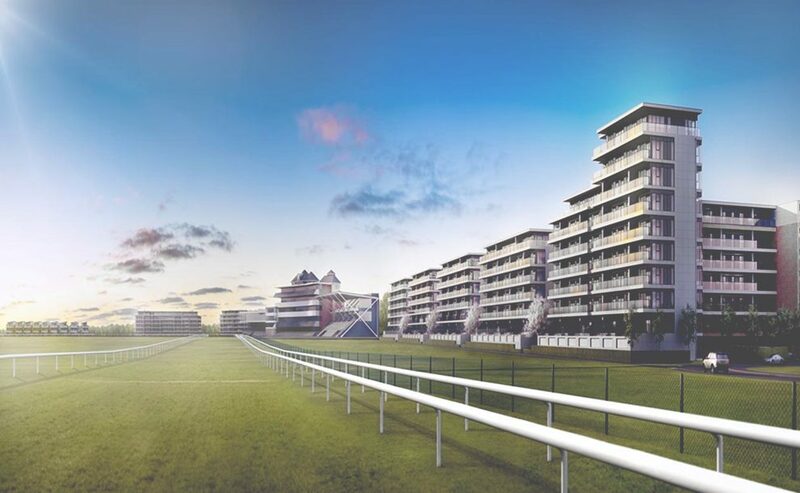 Following on from the successful delivery of phases C1 to C3, Quest Solutions continued to work on this luxurious residential development which offers a unique living experience positioned alongside and overlooking Newbury race course. 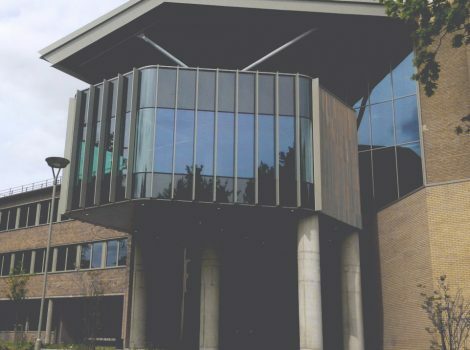 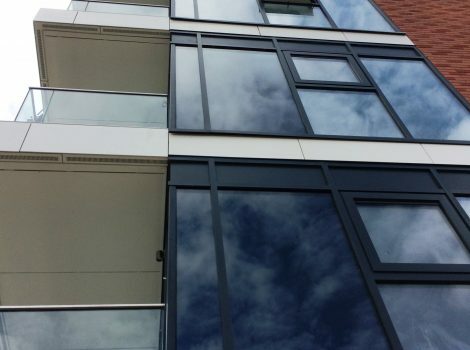 Quest provided valuable insight into the experienced gained from the previous phases and took a lead role in the design of the facade, encompassing the various interfaces of the glazing system with other trades. 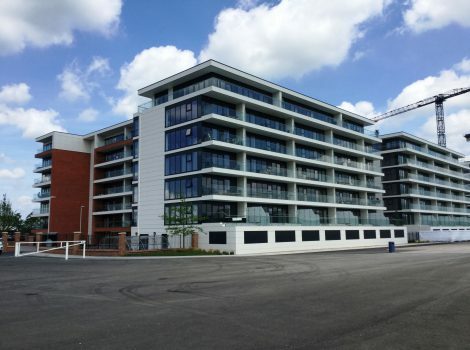 MX capped curtain walling in 52mm, for visual consistency, giving a uniform appearance. 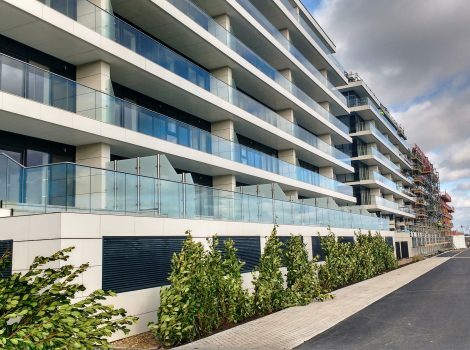 Large expanses of clear glazing, allowing plenty of light to fill the residences.